This is a great find if you are looking for accessories for your laptop. 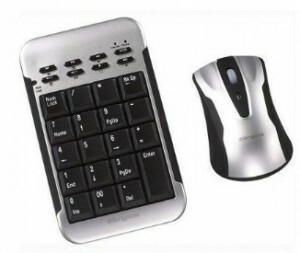 It’s a Targus Wireless Keypad and Laser Mouse Set for only $9.99 from Daily Checkout. I was checking out prices on this and I found it on Amazon (who I think has just awesome prices) for $34.95. So, it’s really a great deal and it’s for today only. Shipping is $4.99 so for $14.98 you have a wireless mouse and a wireless keypad shipped. Good deal!